BitcoinRegular Price GBP is £ 0.2020; this digital asset has experienced a daily change of 3.44 %; giving BitcoinRegular (BTRL) a Market Cap of £ 0. The Total Volume of BitcoinRegular (BTRL) traded in the last 24 hour period was £ 0.9700. Total Supply of BitcoinRegular (BTRL) is 21,000,000. Please use the drop down menu above to change the currency pair from (BTRL/GBP) Pound Sterling - to another Fiat currency or Digital Asset / Cryptocurrency. BitcoinRegular (BTRL) Price and data is automatically updated 24/7, always verify price history from several trusted sources before dealing in BitcoinRegular (BTRL). This BitcoinRegular (BTRL) summary automatically updates; please bookmark this Cryptocurrency Market UK page and check back regularly. Please share your reaction and comments regarding the performance of BitcoinRegular (BTRL) in the chat section below. 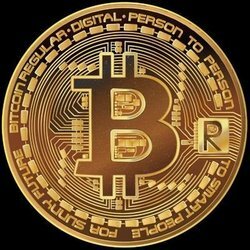 We list the BitcoinRegular (BTRL) digital asset project website link, BitcoinRegular (BTRL) digital asset social network links, BitcoinRegular (BTRL) digital asset blockchain explorer links, and BitcoinRegular (BTRL) digital asset price chart on this page. Important note: always check BitcoinRegular (BTRL) official website for news, as well as prices from several trusted sources before trading BitcoinRegular (BTRL).